Hattitude…these church ladies have most definitely got it. 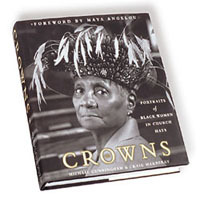 A black and white photographic chronicle of elegant, feisty, vivacious women wearing their beautiful church hats with dignity and grace. Exquisite photos are accompanied by captivating comments and stories, revealing the true queens underneath. Hardcover. 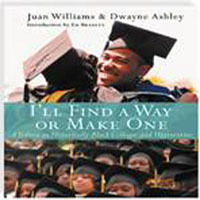 The must have definitive reference and gift book that explores the dramatic historical, social and cultural importance of America’s 108 Historically Black Colleges and Universities. Travel this road via photos, historical memoir, archives, anecdotes and personal interviews. Hardcover. Let this guide help you to make one of the most important decisions of your life. 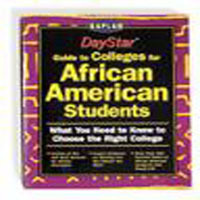 Profiles of the 100 best schools for African Americans, ratings of both academic and social life, admission tips and more at you disposal. Get busy. Soft cover. 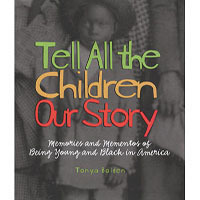 To be young and black in America is explored in this exceptional book, from the very first recorded birth of a black child in Jamestown, through the Civil War, Reconstruction, civil rights, and up unto our own present day time. 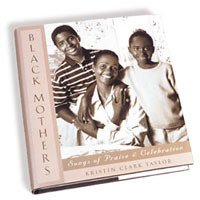 Explores attitudes, lifestyles and perceptions with over 127 illustrations and photos. An important book for both children and adults. 128 pages. 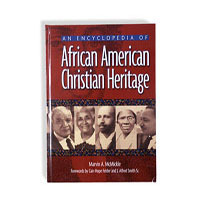 Within this book you will find, “…a modern cloud of witnesses to the historic struggle within the African American community for faith and faithfulness.” Trace the messages and movements of the last several hundred years that have helped to evolve and sustain the black church in America. Makes an interesting read and reference. Hardcover. What’s in a name? Plenty. Wonderful meanings, unique histories and reaffirmation of cultural pride, to name but a few. 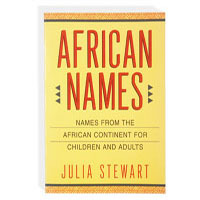 More than one thousand African names for both children and adults sourced from the African continent, listed alphabetically and including country of origin, as well as their English translation. Come explore, educate yourself and revive ethnic traditions. 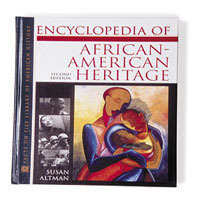 Chronicling more than a millennium of history, this highly comprehensive and acclaimed encyclopedia offers a wealth of information on both African and African-American history, politics, culture, people and places. Almost 150 black & white photos. 368 pages. Traditional soul food gets kicked up a notch. Homegrown, tasty, multi-ethnic soul food gets introduced to global flavors, modern cooking styles, and fresher and healthier ingredients. 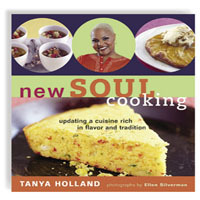 The result: soul food cooking for a new generation of home cooks and chefs, complete with new presentation ideas. Gospel Cinderalla and Bintou’s Braids are two separate stories of two girls who each yearn to be someone, or somewhere, else. Two tales with happy endings as each discovers her magic within, and realizes she’s more than pleased with who she is. Both are great read aloud stories. 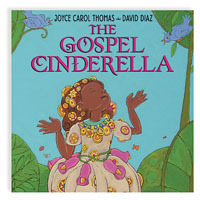 Gospel Cinderella takes a timeless classic and infuses it with a soulful twist. Ages 5-10. Hardcover. 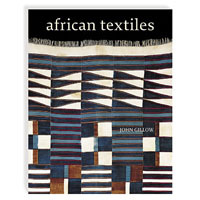 A wealth of information on the rich art and tradition of indigenous African textiles that spans the entire continent. A comprehensive historical and technical perspective, including religions, and cultural, fashion and trade influences. Text is framed in radiant color, with over 570 color photos. An authoritative and inspirational reference book for enthusiasts, designers and collectors. 240 Pages. Hardcover. Quintessentially African and wonderfully universal. 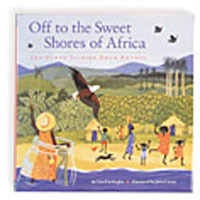 A colorful collection of original African rhymes that bring to mind images of West African village life. Playful rhymes are simple, rhythmic language that is ideal for young children and beginning readers. Exquisitely detailed, culturally rich, and fun to read aloud. 56 pages. An accompaniment to the much publicized exhibition of the same name travelling the nation throughout 2004. 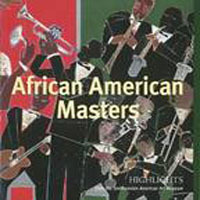 A testament to the rich and varied experience of African American artists in the 20th century. Encompasses photographs, sculpture, paintings and textile art. 52 full color illustrations with informative commentaries and text. 112 pages. It’s never too early to start cultivating your children’s artistic sensibilities. Aesthetic exposure to two of America’s greatest African American painters of the 20th & 21st centuries is a great starting point. 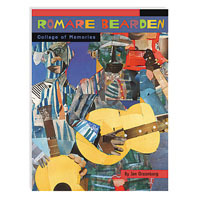 Two visually striking, well researched, moving biographies chronicling the African American experience, are each told through the works and distinctive artistic styles of Jacob Lawrence and Romare Bearden. Gems. For ages 8-12 and 6-10, respectively. Hardcover. 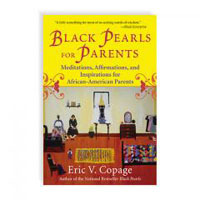 The Black Pearls book series: Two gems, together again for the first time in ten years! Parents will gain insight and support on topics spanning their children’s friends to their faith. Talk may be cheap, but this wisom is priceless. 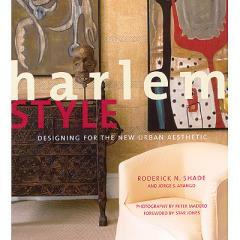 What is Harlem style? It’s a new home design aesthetic reflecting high and low style, that uses natural and industrial materials, is composed of slick and organic textures, and combines urbane comfort with a hip edge. It embraces a monochromatic approach to color and geometric patterns, while encouraging personal expression via objects and accessories. It is your own personal style.